Hey guys we have a great GIVEAWAY FOR YOU!! We've teamed up with some great bloggers to give one lucky person an amazing prize!! 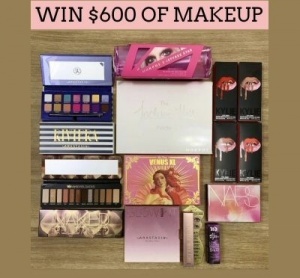 ~One of you will receive $600 in Cosmetics!